Nick Madrigal had been struggling out of the gate this season, but teammate Luis Robert had a good feeling the fifth-ranked White Sox prospect was going to turn things around in a big way Saturday night. "It's kind of funny. Robert saw me before the game -- it was random, too -- he came up to me and he said, 'You're going to get four hits today and I'm going to get two,'" Madrigal said. "I said, 'All right, I'm in, let's go.'" The prediction proved to be spot-on as Madrigal matched his career high with four hits and drove in two runs, raising his batting average 110 points and leading Class A Advanced Winston-Salem to a 4-0 blanking of Potomac at BB&T Ballpark. Batting one spot ahead of Madrigal, the fourth-ranked Robert continued his torrid start and bested his own forecast by collecting three hits and finishing a homer shy of the cycle. "I felt comfortable in the box, I felt comfortable the last couple of games, too," Madrigal said. "Balls haven't fallen for me lately, but I've felt comfortable. I know it's part of baseball and I know that I'm going to have a lot more games ahead of me. But, yeah, I feel good at this point. ... You kind of forget about each at-bat and move onto the next one. You get a hit and you've got to worry about the next one. It's just not getting too high or too low." Madrigal quickly made his presence felt last season, putting up a .303/.353/.348 slash line in 43 games across three Minor League levels. The Oregon State product impressed with his bat control, striking out only five times in 155 at-bats. He parlayed that success into a stint with the Major League club in Spring Training, where he hit .389 with a double and two RBIs in 10 contests. "It was awesome playing with that coaching staff," Madrigal said of his time in the Cactus League. "Even playing with those guys up there, I enjoy playing with those guys a lot. It's talking baseball and not even just talking baseball. The off-the-field stuff, I enjoyed getting to know those guys. That level of baseball, I felt comfortable and I really wasn't pressured with anything and I enjoyed it the best that I could." He had all that success in March, but it didn't translate into his first six Carolina League games as Madrigal batted .200 with three hitless efforts. Not one for getting down, he stayed with his approach and looked for better results. The 22-year-old had his fortunes change from the outset against Potomac when he followed Robert's leadoff double with a single to left field against starter Nick Raquet. Two innings later, Madrigal saw the P-Nats playing back and shifted a bit over, so he laid down a bunt on the first pitch and used his 60-grade speed to leg out a single. He tried to steal second but was thrown out by catcher Alex Dunlap. "It was on my own and I saw them playing kind of a different shift," Madrigal said. "They were pretty much giving me the bunt and I knew I had to place it anywhere close to the third base line. I didn't even place it that well and it still worked. It's something I've had in my game forever and if they're going to give it to me, I'm going to lay it down." On a 2-2 pitch from Raquet in the fifth, Madrigal whacked a double to left to score Robert all the way from first. After collecting that third knock, the countdown Robert started at the beginning of the night was getting even lower. "[Robert] told me after each hit, 'Three more, two more and then one more' after the third one," Madrigal said. "It's nice to have him -- he keeps it light all the time. How much talent he has, but for him to want other people to do well also is pretty special." MLB.com's No. 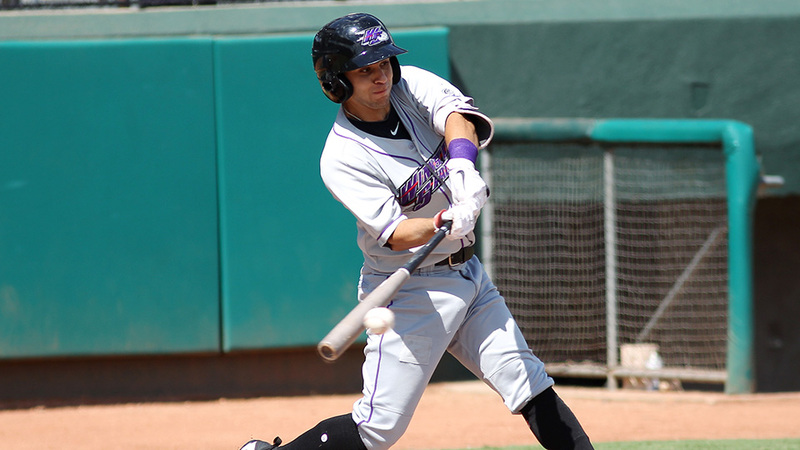 46 overall prospect capped his night with an opposite-field single to right that brought in Robert again and extended the Dash lead to 4-0. Madrigal upped his average to .310 with his second career four-hit game. In his final season in the Pac-12, Madrigal batted .367 for Oregon State before being drafted fourth overall by the White Sox. Now in his first full season, the California native hopes to keep up his hitting prowess -- and health -- over the course of the six-month campaign. "I know it's a long season, I'm not going to get too high or too low and take it game by game," Madrigal said. "I'm going to try to keep my body as healthy as I can and do a lot of stretching, eat well. I know it's a long season, but I'm excited for it. It's what I waited for all offseason long, so I'm excited for it." As for Robert, the Cuba native has hit safely in eight of his first nine contests to the tune of a .475 average and 1.537 OPS, both of which lead the league. The 21-year-old was limited to 50 games last year as he battled injuries, hitting .244 in 32 contests with Winston-Salem. Back with the club this year, and it's almost as if Robert is a completely different player, according to Madrigal. "He's unbelievable," Madrigal said of Robert. "I saw a bit of him last year and this year he's on a totally different level. He seems like he's on every single pitch every at-bat. It seems like he gets on base every single time, so I'm having a lot of fun playing with him." Kyle Kubat (1-0) allowed two hits and fanned five over six innings as Winston-Salem recorded its first shutout of the season. Andrew Battifarano is a contributor to MiLB.com. Follow him on Twitter, @AndrewAtBatt. This story was not subject to the approval of the National Association of Professional Baseball Leagues or its clubs.